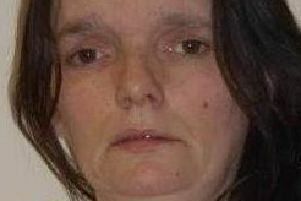 A woman who has been subject to an ASBO for seven years admitted her racist and abusive behaviour was “a wee bit OTT”. Pamela Stephen’s conduct was certainly over the top when she started drunkenly yelling out derogatory terms about Chinese people in a crowded accident and emergency room. Appearing at Falkirk Sheriff Court yesterday, Stephen (37) admitted threatening behaviour at Forth Valley Royal Hospital and breaching her bail conditions at Braemar Drive, Falkirk, on October 15 last year. Procurator fiscal depute Graham McLachlan said: “It was 2.30pm and police received information the accused is at the address. When they attended they noticed a female crouching next to a television, hiding her face. Due to her drunken state police took her to Forth Valley Royal Hospital to have her assessed. Mr McLachlan said: “At the hospital she starts to become abusive towards police officers and is warned about her conduct. She starts telling them she wants a ‘chinky’ which refers to a Chinese meal. It was stated Stephen, 8 Staffa Place, Glen Village, had significant difficulties with alcohol and had been suffering health problems as a result. Sheriff John Mundy said: “She doesn’t want to engage with alcohol treatment, she doesn’t want to do unpaid work. There are very few options as far as your behaviour is concerned. He jailed Stephen for 90 days, stating the sentence would protect the public and let her detox from alcohol.